I would like to invite you to embark in a travel through Space with a themed slot machine game packed with huge payouts conquering the universe and getting paid. 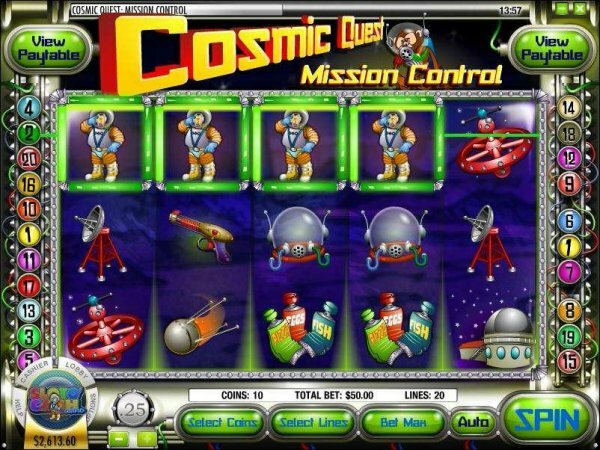 Cosmic Quest is an interactive i-Slot featuring stellar symbols throughout the cosmos giving the player a true ride around the galaxy. 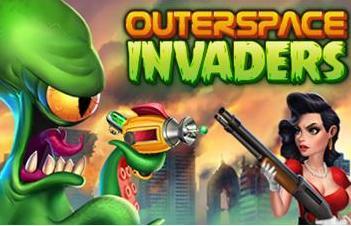 Cosmic Quest I has big payouts and a lot of features to hel players enjoying an entertaining online game with great visuals. The futuristic themed opening video is just a sample of what you can expect in your journey on Cosmic Quest I video slot game. This slot machine has symbols like Satellites, Space Rockets, Space Dogs, Space Observatory, Space Food, Astronaut and more. I see this slot game very entertaining with great graphics. I must also tell you about the free spins rounds which is an extra way to boost your winnings in this game and the Asteroid Blasteroid bonus round is triggered with 3 Pink Astronauts line up is another feature to help you on payout increase. This round is a skill game that can multiply your winning coins per 5 blasting asteroids. I must write something about the game sequel, Cosmic Quest II: Mystery Planet. 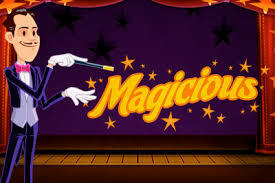 Here you will find the same high quality graphics and other features in top of the first edition. Expanding wilds is one of the features that will help you to get big payouts. The wild symbol is the Yellow Rocket Ship that can expand to form combinations filling the reels. The rockets will blast off when Wilds symbols are lined. There is a bonus round which is a skill based game can give you extra coins. It's really interesting the Stephen Hawking research trying to find life in other planets and so is these two space-themed slot machines with massive money prizes to be won for all punters interested in take a ride through the mysteries of the universe. 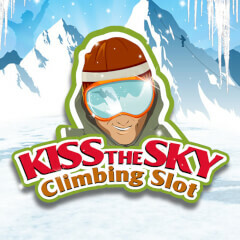 A lucrative journey full of free spins, bonus rounds and huge payouts that you simply can't miss.